This pair or crystalite lovers decanters is a unique gift idea for a wedding or engagement. The decanters have a solid base and stand towards eachother when on display as a pair. 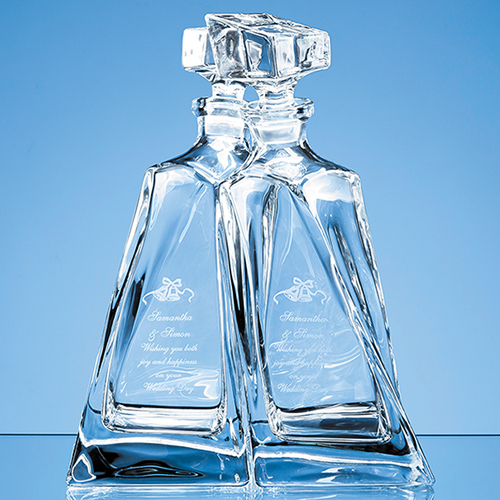 There is a large engraving area on each decanter that can be personalised with any logo, crest or wording.